Sixteen pounds of flour was all we really needed for the last trail running practice. We had a little more than an hour to use it all before we had to meet the kids as they rushed out of Leavenworth’s Osborn Elementary. 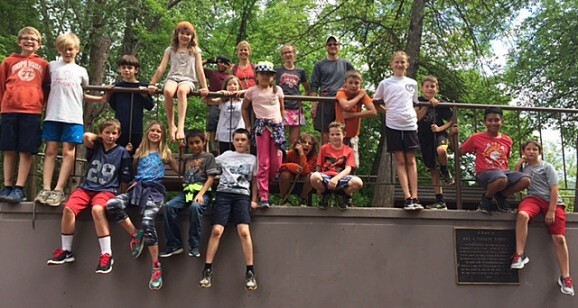 We weren’t baking a huge batch of cookies for these miniature trail warriors. 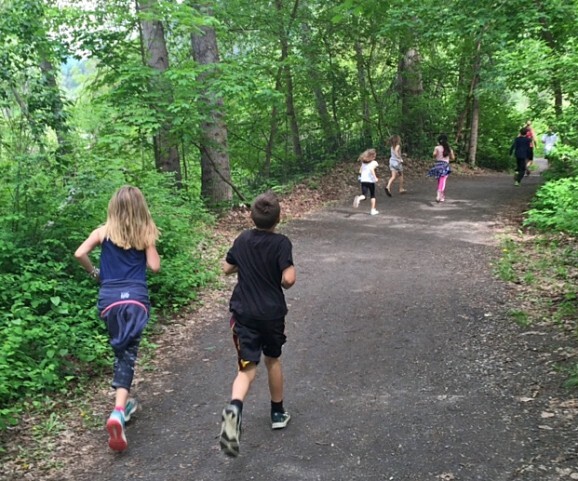 Osborn Elementary students, part of the Trail Blazers group, follow the trail during the Leavenworth Harrier Run in Enchantment Park. No, Coach Andrew and I met at Enchantment Park, each armed with a bag of flour and with more in our backpacks, to set a trail. We took turns grabbing fistfuls of flour and splatting it on the ground. In the grass it was hardly discernible. But on pine needles, fallen leaves and gravel the small white piles of flour were easy to spot once you knew what to look for. We finished setting the course, ran back to our cars and drove to Osborn to meet the kids. If they had looked closely, they would have seen I was covered in a thin film of flour and sweat. This band of 23 kids always want to know what we’re doing each day, but we left them guessing as we walked past downtown to Enchantment Park. At the park we explained. This was to be the inaugural Leavenworth Harrier Run! Harrier runs have occurred throughout the world for almost 80 years, but perhaps never in Leavenworth. 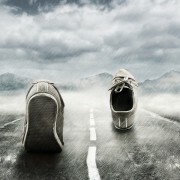 They are, in essence, a chance for a group of runners to mimic the actions of a pack of hounds chasing a fox. But instead of a scent trail, the runners follow a visual trail — hence the flour. They need to work together. Someone asked how many teams there were, and I explained that they were all one team, with one mission: to find the end of the trail, where a reward awaited. Communication is essential. Given we’ve evolved beyond barking, the pack yells, “Are you?” and the front-runners respond, “On, on.” Or, if the front-runners are searching for the correct trail, they say, “Checking.” A lot of the fun is in the setting and following of false trails, which leads the faster runners to backtrack and regroup with the slower runners. The false trails are clearly marked with a flour “F” to somewhat minimize random searching. Most of the flour splotches were on the ground, though a few were on rocks and logs, as a bit more challenge for the pack. At the halfway point we enjoyed a stash of water and orange slices, and we regrouped. Once the trail hit town the flour was on the sidewalk. Tourists were oblivious, but our pack was keen and hot on the trail to the finish. Leavenworth’s gazebo marked the end with a large “T.B.” for Trail Blazers, our group’s name. Doing a final headcount revealed no one got left in the brambles or fell in the river. Sure there were a few scratches, but those were displayed with pride by Trail Blazers. The prize was a short walk across the street to Scoop d’Jour for ice cream cones. The traditional harrier runs involve varying amounts of beer consumption, combined with lots of rowdy songs. Our sweet alternative, however, was the perfect ending to this club dedicated to the quintessential art of playing in the woods. 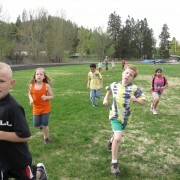 Students from Osborn Elementary make up the Trail Blazers running club.